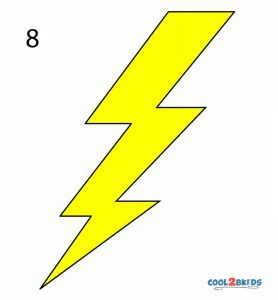 Thunder and lightning are common during the rainy season. A lightning bolt is basically the zigzag line that tears across the sky. 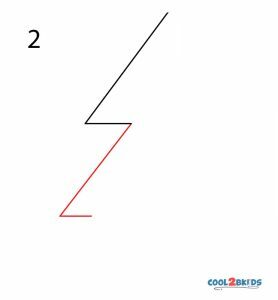 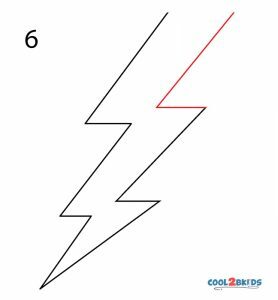 The blinding flash has been depicted by a simple step by step sketch in this drawing activity. 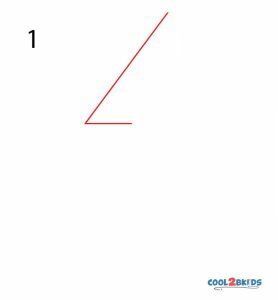 Step 1: Make a triangular shape. Step 2: Make another triangle below it. 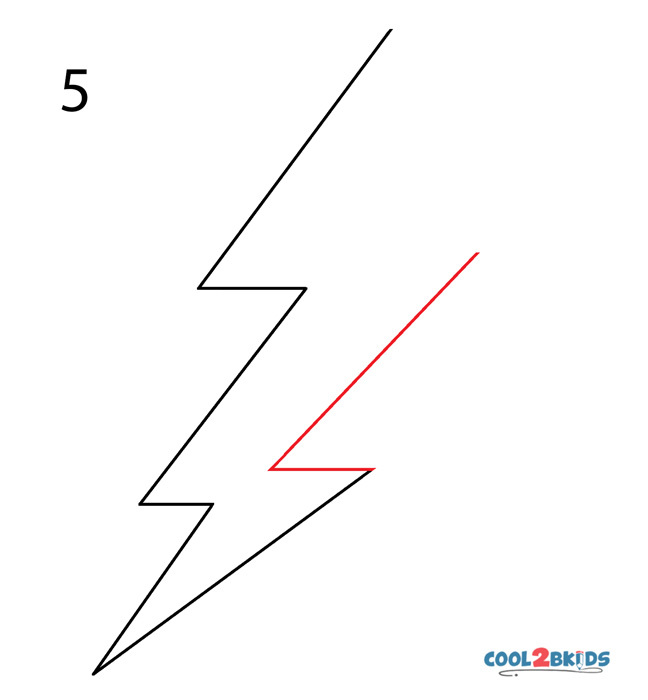 Step 3: Draw a slanting line underneath. 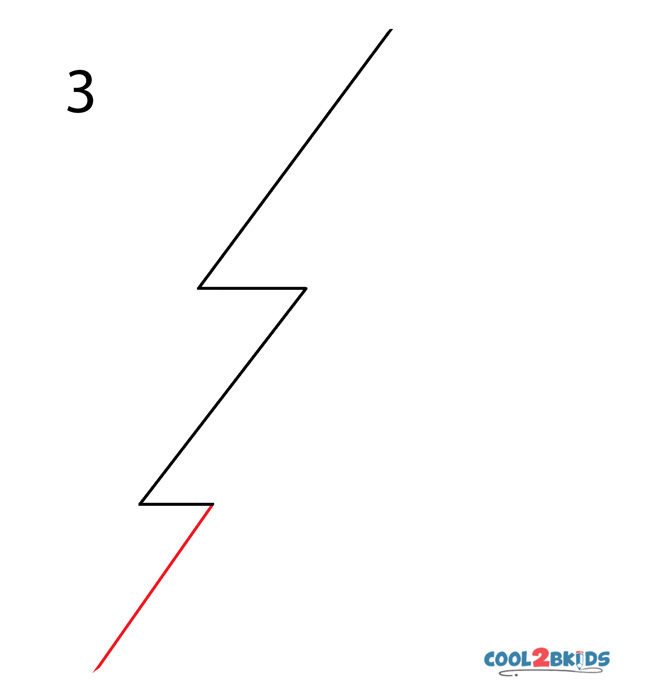 Step 4: Sketch another line extending upwards. Step 5: Draw another triangle complementing the second one. 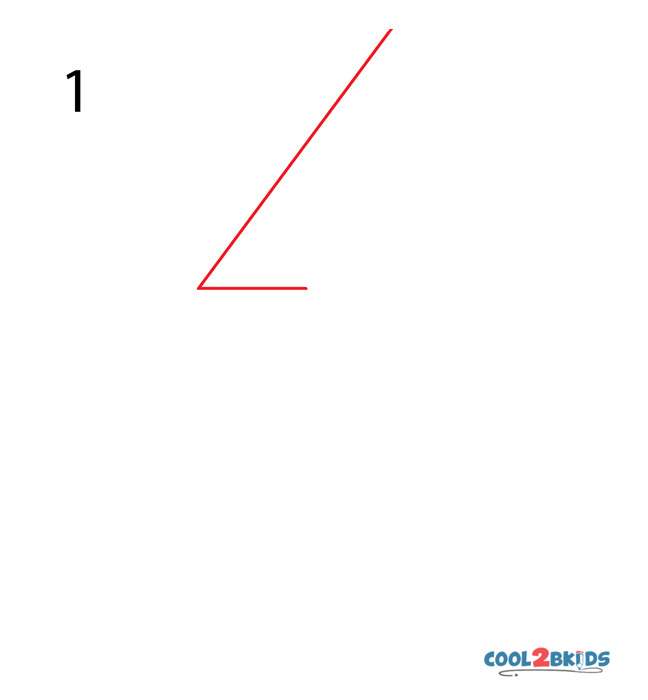 Step 6: This triangle complements the first one. 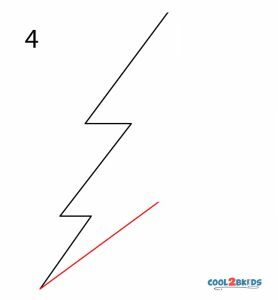 Step 7: Sketch a straight line. 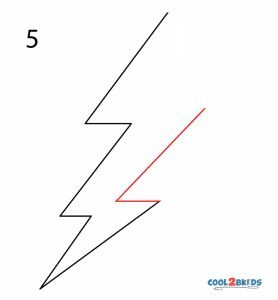 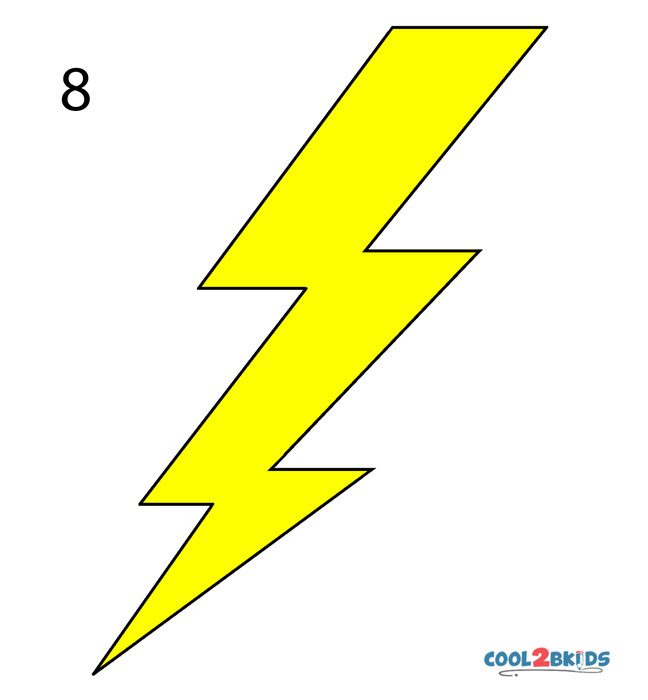 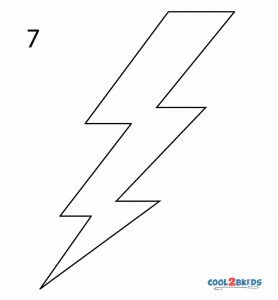 Step 8: You can now color the lightning bolt yellow. 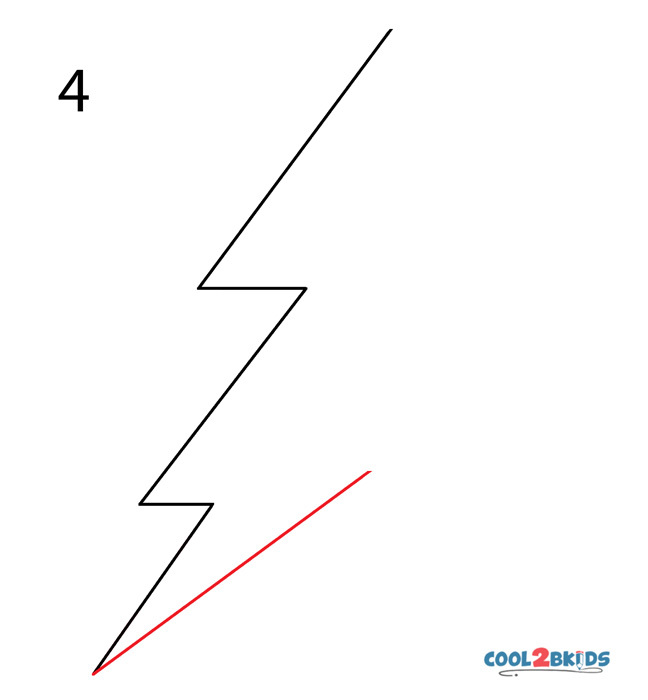 As the exercise is heavily dependent on straight lines, you should strive to get them correct through practice. 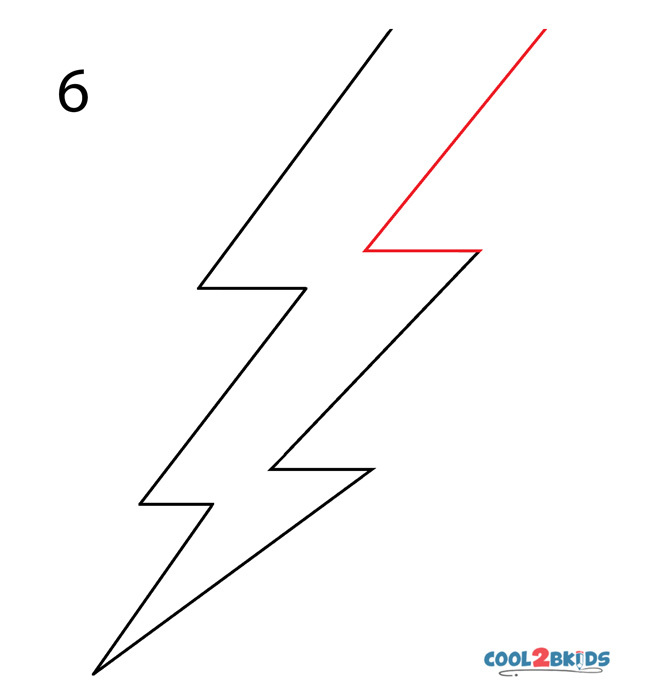 The lightning bolt is a powerful natural phenomenon and kids are fascinated by it. 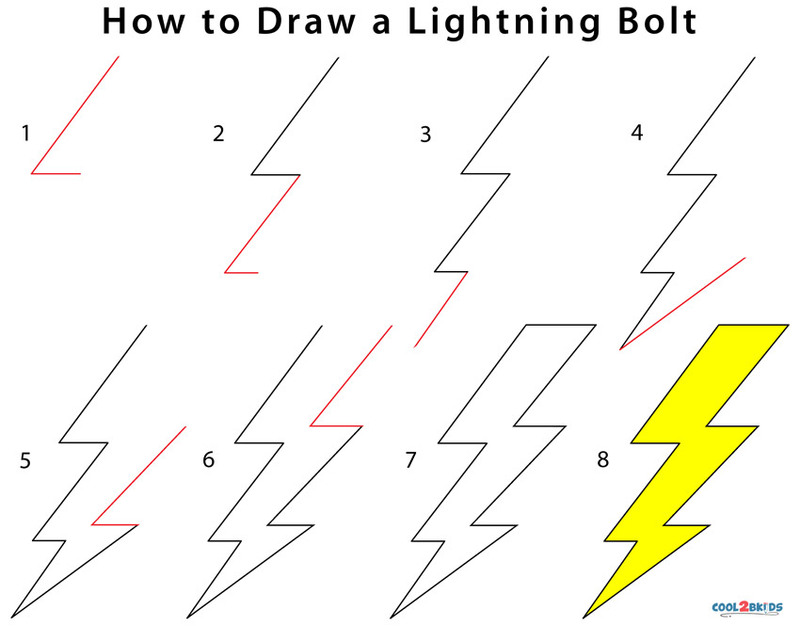 They would be excited to complete the drawing quickly.